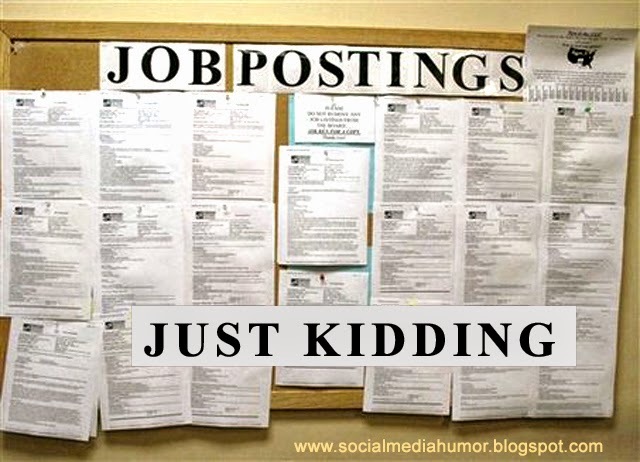 Is that Job Posting...Really a Job Posting? Many people devoted some of this weekend to updating their resume and look for a new job. Back in prehistoric times, when resumés were printed on paper (Admit it my fellow dinosaurs.You remember), applying for jobs was a very different process. You'd check the local paper on Sunday, write targeted cover letters and address envelopes (maybe on that typewriter thingy?) carefully fold a copy of your resume, mail it out and hope for the best. And somehow it worked, and you got a call by Friday. But sometimes you didn't, despite the fact that you were perfect for the job.